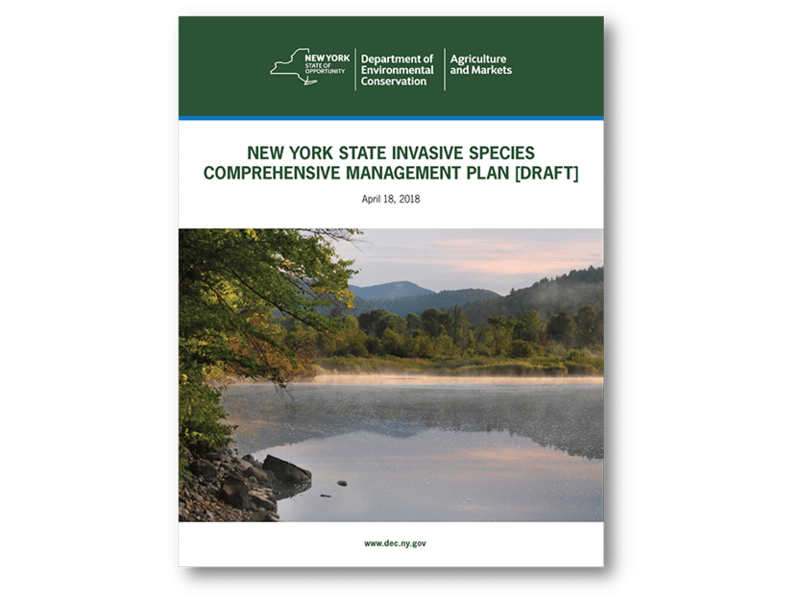 The New York State Departments of Environmental Conservation (DEC) and Agriculture and Markets (DAM) have announced the release of the State’s draft Invasive Species Comprehensive Management Plan for public comment. EcoLogic teamed with OBG to develop the plan, which is designed to minimize the introduction, establishment, and spread of invasive species throughout New York. The draft plan may be downloaded from the DEC website: http://www.dec.ny.gov/animals/265.html. Comments will be accepted through June 1, 2018. Comments may be sent to isinfo@dec.ny.gov or via mail to NYS DEC, Division of Lands and Forests, Invasive Species Coordination Section, 625 Broadway, Floor 5, Albany, NY 12233-4253.